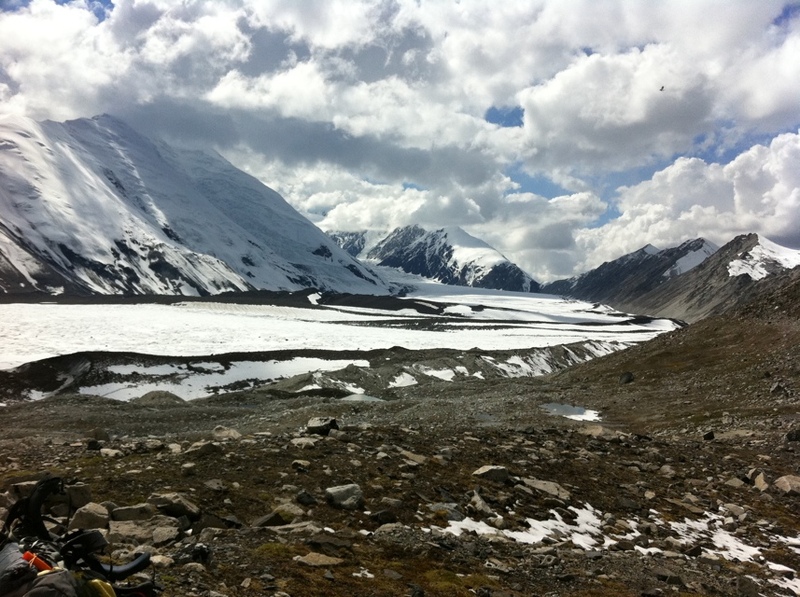 At 34 miles, the Muldrow glacier is the largest glacier on the north side of Denali National Park, and hosts the route that was used by the first successful attempt to climb the mountain. In every sense, the route is a true Alaska adventure, a massive undertaking involving a variety of physical and mental hazards in a truly remote wilderness setting. It was a privilege to be invited to patrol the route as part of a national park service team and an opportunity to complete a lifetime goal. 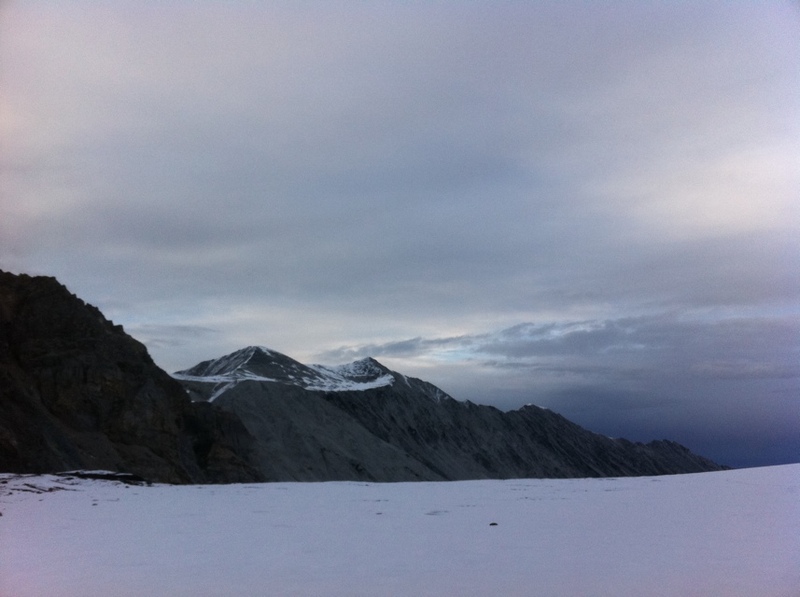 Unlike typical Denali park service mountaineering patrols, we had a minimum of support and climbed the route with a similar style and itinerary as most other parties on the route. Starting at Wonder Lake (elevation 1,800 feet) we started on the flat , 85 miles from the nearest paved road, 45 horizontal miles, and 18,000 vertical feet from the summit. We started hiking around 10pm on June 16th in trail runners, plastic boots hanging off the outside of our gargantuan backpacks. We had some cold weather gear, snow floatation and 16 days of food inserted by helicopter (most teams use a dogsled to deposit this cache) waiting for us at McGonagall pass, 22 miles of backpacking south of the lake. Still my pack weighed in at 71 pounds and the hike to the pass was definitely physical. We crossed the McKinley bar river at 7am June 17th in hip deep, ice cold water. The crossing took about 3 hours and I’ve never had the screaming barfies so badly in my feet. In review, our team felt like the crossing was just barely within our risk tolerance, we were grateful for every cfm the river dropped the night before we crossed. The remaining hike to the pass was largely straightforward, and tremendously enjoyable The have been a number of parties up the route this year, and a defacto trail has worn into the taiga, allowing us to make the pass in just 2 days. We had outstanding sunny weather, great views of the mountains, and a solid time getting to know each other. The mosquitos were authentically thick, but spirits stayed high and standing on top of McGonagall pass is one of the most beautiful places I have ever been. We found our cache perfectly placed on the glacial moraine, and we spent several hours sorting the 500+lbs of food and gear into sled loads. We used kiddy sleds to make the backpack loads more manageable, and June 18th we single carried all our gear to a camp below the lower icefall. 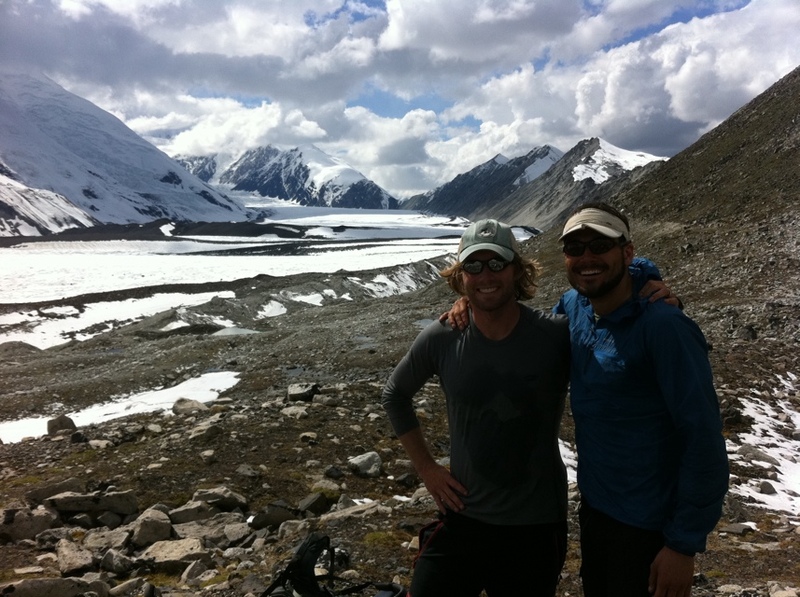 This entry was posted in Alpine Climbing, Traveling on July 13, 2011 by sticker1.